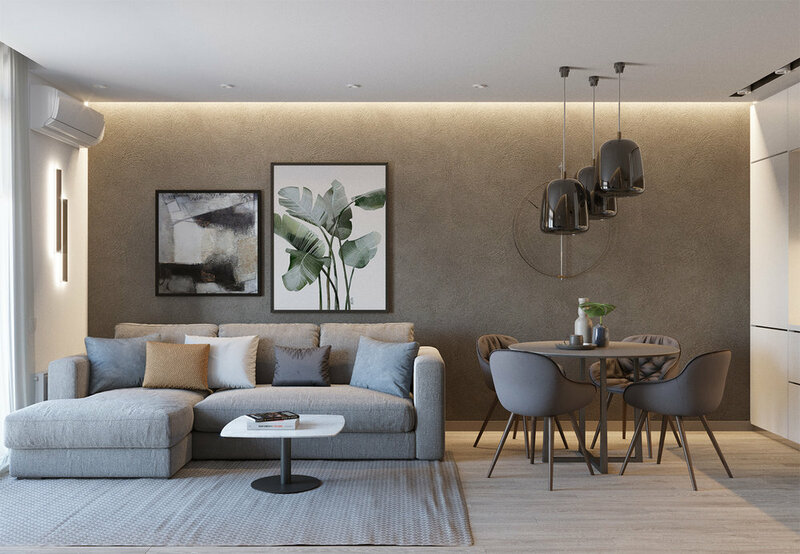 Design of a one-room apartment in the residential complex “CENTRAL PARK”. The area of the apartment is 47 sq.m. 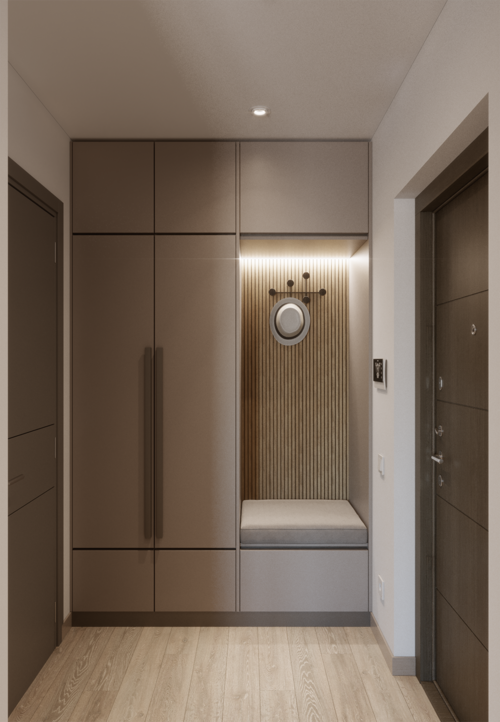 Features of the layout: a combined kitchen and living area, a separate bedroom, a small bathroom with shower, and it also turned out to carve out a place for a small dressing room. Living space is made in calm colors. The shades of gray, as basic ones, make it possible to make the interior multifaceted and textured. In the decoration of the walls used decorative plaster and plate materials.